Adrians Cove is situated on the east side of Limasawa. 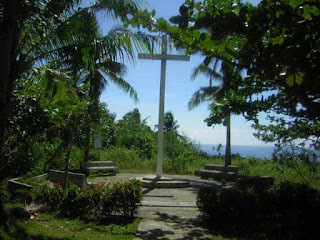 It is a marine sanctury Limasawa is also famous for Ferdinand Magellan, and the first Catholic mass in the Philippines. It is a outstanding wall dive dropping down to about 40 metres. Walls are covered with soft corals, gorgonian fans and green tree corals. This site is quite unusual it has deep gorges and a number of caves. Adrians cove normally has plenty of nudibranchs, pacific oysters and occasional hammerhead and humped head wrasses. The view around the island is spectacular normally do 2 dives on Limasawa giving you breath taking views while doing your dive interval.